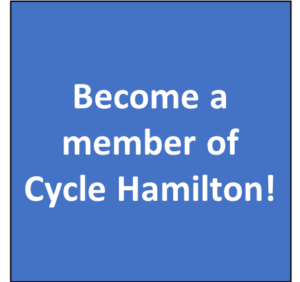 Cycle Hamilton is encouraging all of its members to reach out to the incoming councillors across the city and offer them congratulations on their election success. In doing so, our members will be continuing to build up the relationships that were built with many of these candidates while they were campaigning throughout the season. To help you get started, we have provided an email template below. 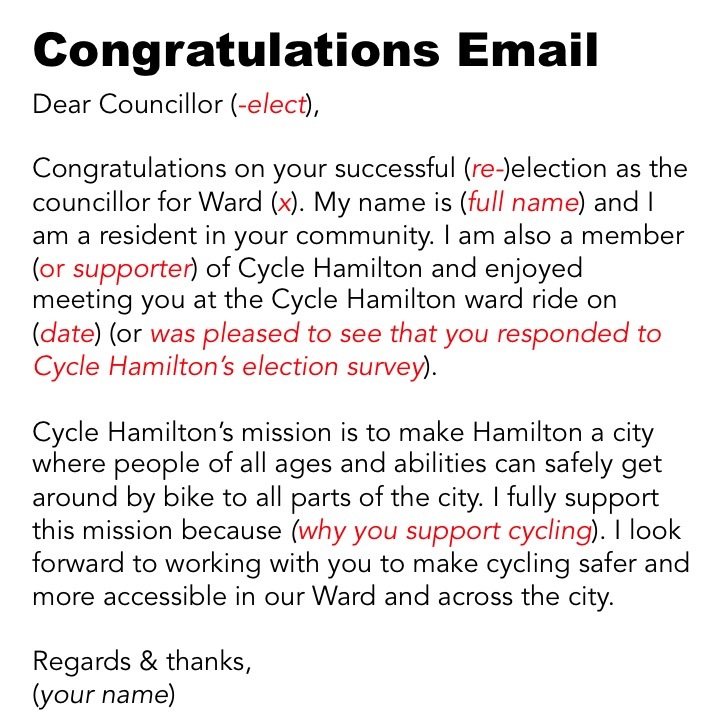 Feel free to use this email template as a starting point for crafting an email to your respective councillor-elect. We are hoping that you will use this opportunity to let your councillor-elect know that cycling is important to you and your ward, and that you are looking forward to working with them over the next four years.